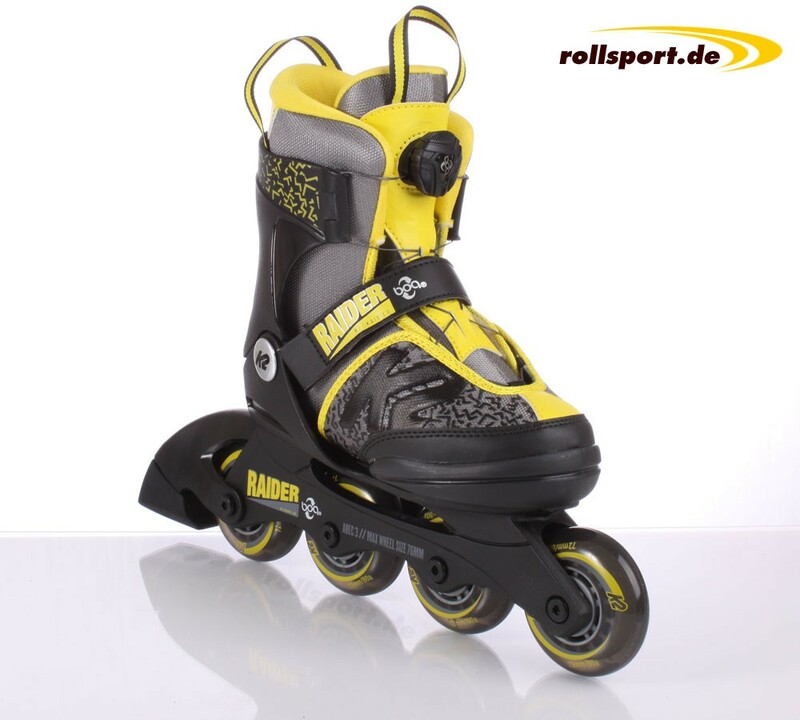 K2 Raider Boa kids inline skates - the new 72mm boys inline skate with Boa system is 5-fold size adjustable. 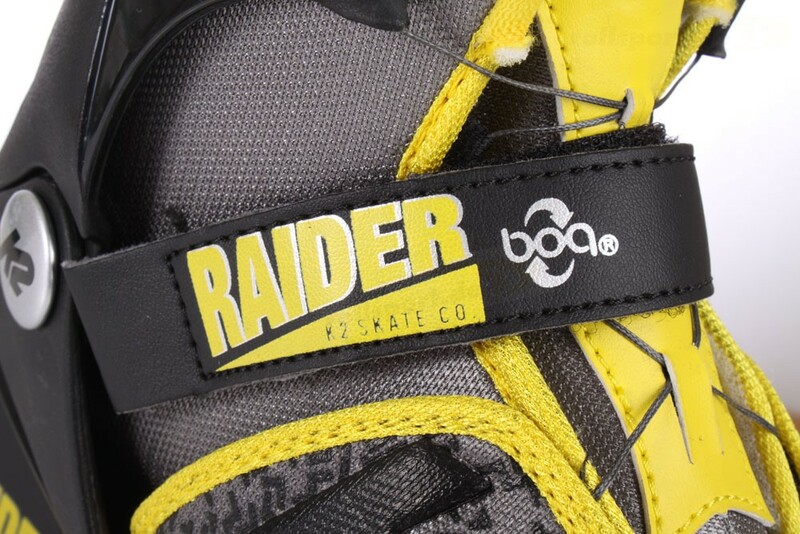 K2 Raider Boa international delivery. 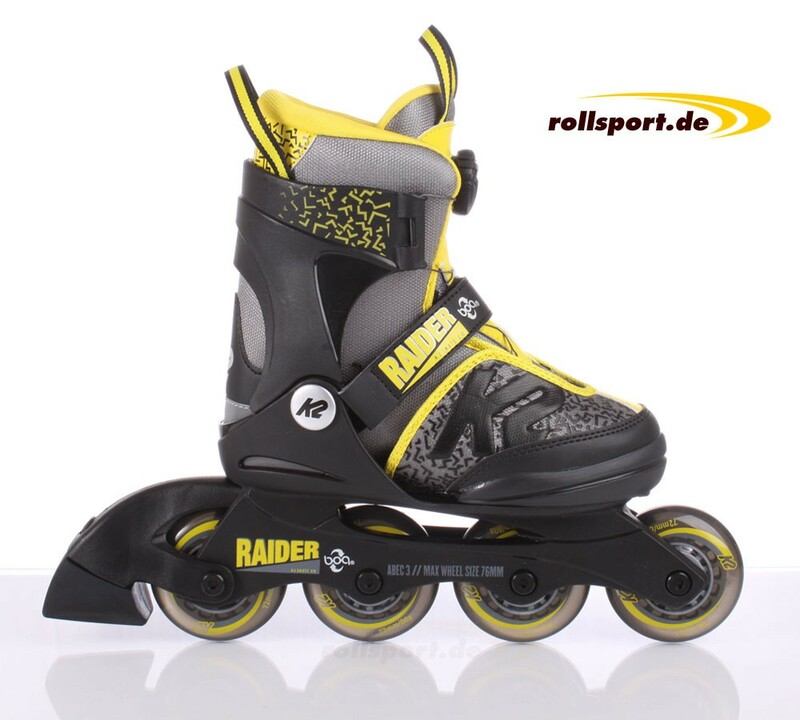 The new K2 Raider Boa children's inline skate for boys is adjustable by a side push button 5 times. 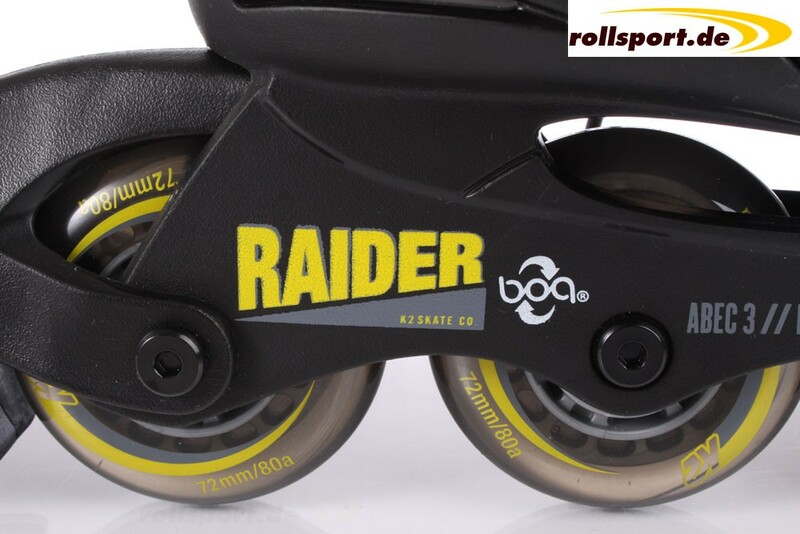 The Raider Boa Skate is equipped with a F.B.I frame with 4x 72mm / 80a wheels and Abec 3 ball bearings. 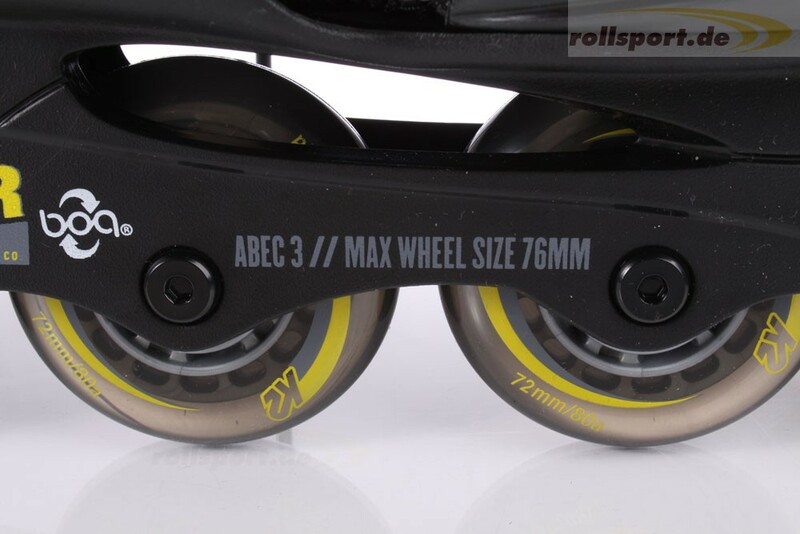 Maximum wheel size is 76mm. The size "S" is fitted with 4x 70mm wheels. 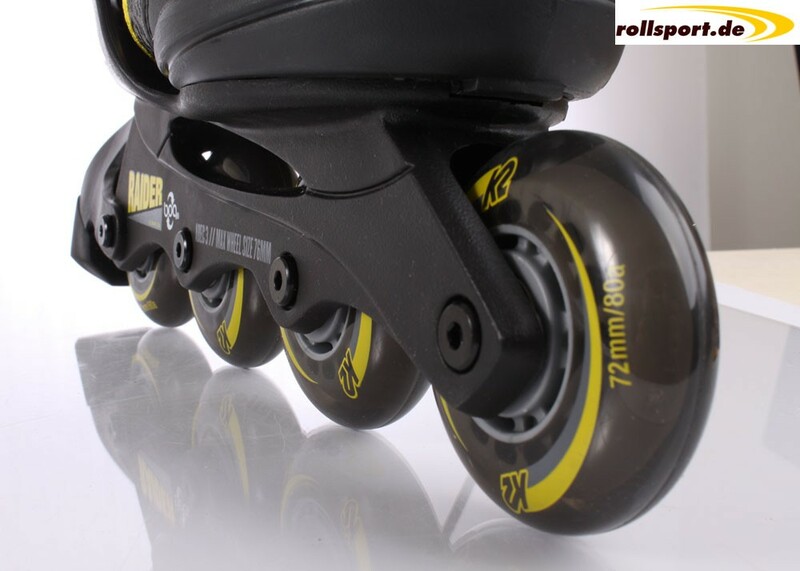 The maximum wheels size there is 72mm. The Boa closure system saves a lot of time and makes it easier for the children to lace up the skates themselves.